With the end of April around the corner, my backyard is starting to green up! New growth, bird songs, sunshine, and my favourite green patio chairs…ahhhh spring at last. The season provides the perfect opportunity for clean-up, de-cluttering, and airing out, not only in house and garden but in body and mind. I thought I’d make a more serious effort to “green” up my diet in order to tidy up my “inner yard”. I have a big juicer taking up space on my counter. It stares at me every day, beckoning me to USE IT so I decided to answer its daily call. 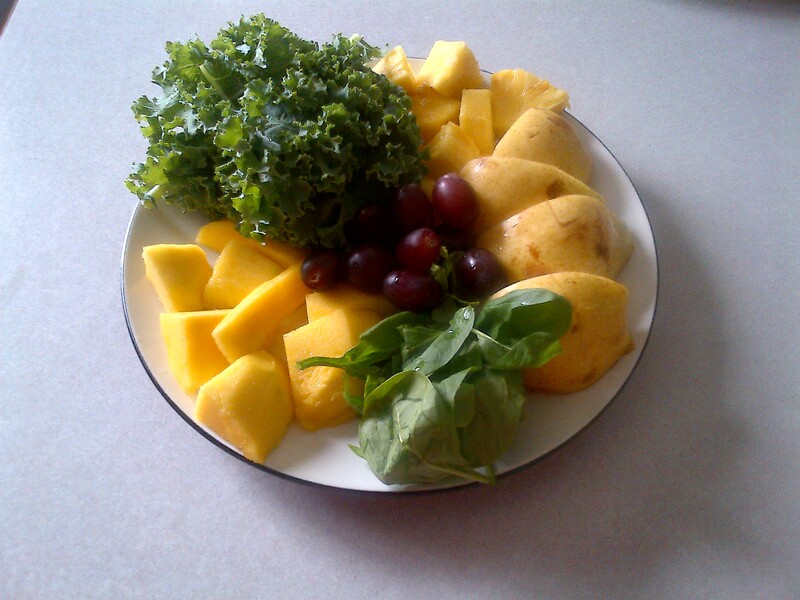 This lovely plate of kale, mango, spinach, pear, pineapple, and red grapes would have been a chore to eat. 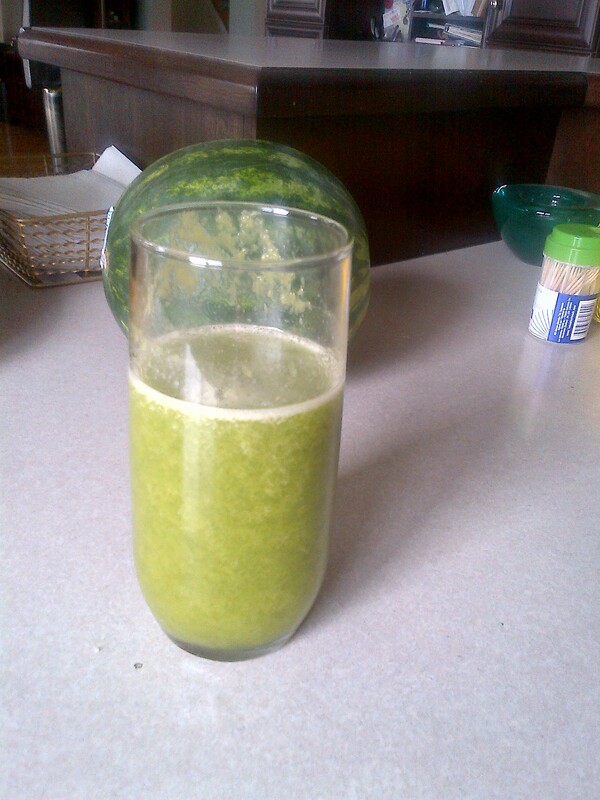 So it all went into the juicer and voila!